As trendy, feminine and glamorous as Donatella Versace herself, this is a floral fragrance for women that is so alluring, you may be followed by the paparazzi! top notes include purple wisteria , guava and white lilacs. Its heart is a sophisticated floral angel wing jasmine, lotus flowers, orchid and azaleas. 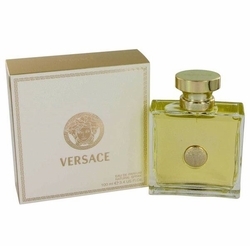 The base is a woody sensuous drydown of cedarwood and musk.